Microsoft has admitted that one fifth of the world's Windows installations are bogus. The PC software giant made the discovery while scrutinising its Windows Genuine Advantage ( WGA ) programme. WGA monitors Windows installations to check whether or not installs are legal. WGA launched in 2005. 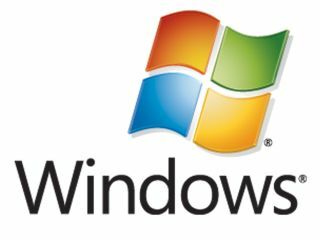 Since then over 512 million computer owners have tried to validate their copies of windows through the Microsoft website, with a total of 22.3 per cent found to be non-genuine. Of these, only a relatively minute 56,000 users then actually went ahead and reported that their copies failed validation. Amazingly, this means there are a minimum of 115 million pirated copies of Windows being used regularly worldwide. It should be noted that these figures do not even include all those who know they are using illegal copies of Windows and either purposely don't attempt to validate, or bypass the system altogether using software hacks. It's easy to see why Microsoft has upped the stakes when it comes to fighting piracy of its new Vista operating system. The software is much harder to copy than previous versions of Windows, and pirated versions will be severely handicapped by having key features deactivated. And as if that wasn't enough, Microsoft has also launched its new Vista Test Drive website which allows users to log in to a web-based Vista trial. It enables people to see what Windows Vista is like and what it can do, without having to install it. Microsoft are no-doubt hoping this will be enough to win over those 'try before you buy' users who conveniently forget the 'buy' part.